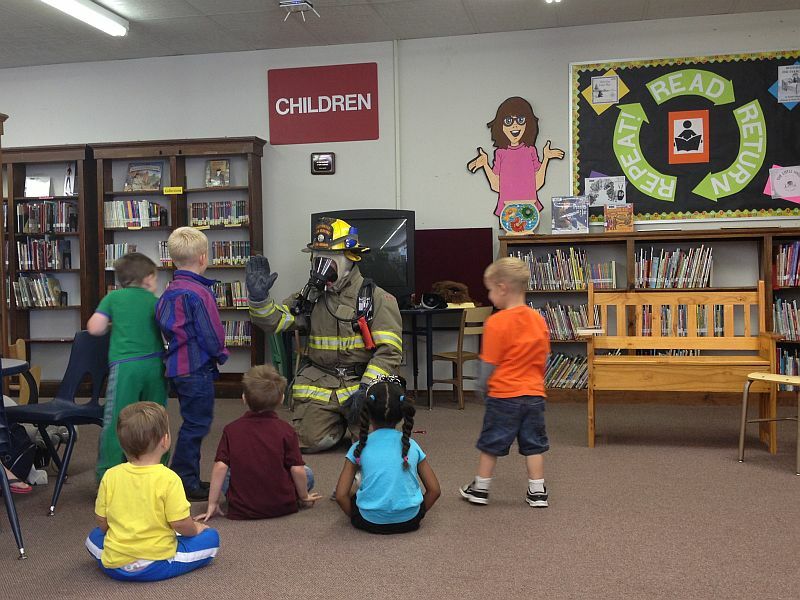 May 22nd was the last day for Children’s Storytime at the Van Alstyne Public Library. Logan and I made it just in time to hear the local fire department finishing up the last book. Then our guest reader, Engineer Nick Williams did something brilliant. He had fellow fireman John O’Conell put on his bunker gear piece by piece. First, he put on his boots. They had a metal plate in soles so that he could walk on rubble. The pants were made of a special material that would protect his knees and legs in the high heat. Next, came the jacket and the hood. Fireman O’ Conell briefly pulled the hood over his head. “That’s not how it goes.” replied Engineer Williams. “Is he still our friend?” “Yes” The kids replied. Then he put on the mask. “Look for his eyes.” He told the kids. “Is he still our friend?” “Yes.” They replied. “The mask makes him look like an elephant.” Logan informed them. “What’s that?” the children asked. “That’s the helmet. It protects his head just like when you ride a bike, your helmet protects your head. You should always wear a helmet.” Engineer Williams replied. One by one, the children admitted they had all ridden bikes without helmets. One boy exclaimed he didn’t even have one. The situation was immediately rectified. The oxygen tank was then hooked up so that everyone could hear the sound it made. 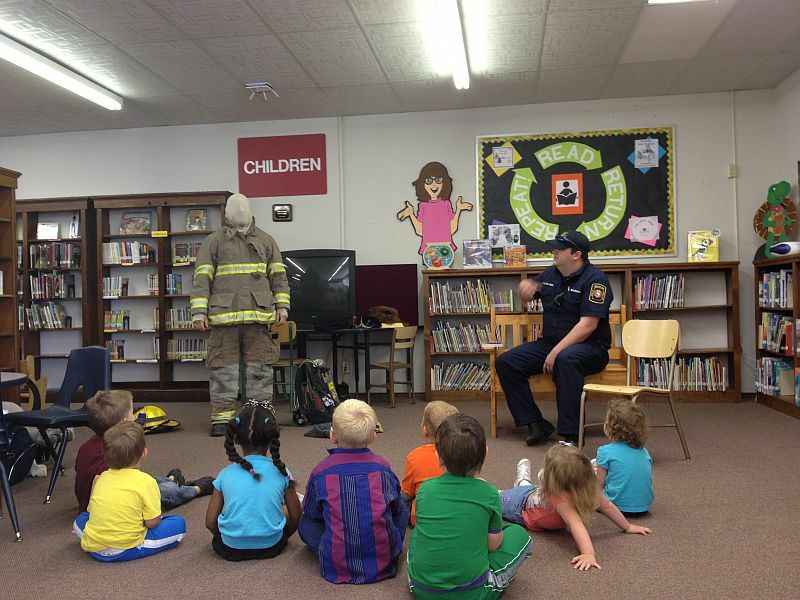 Admittedly, it was pretty cool to know what each layer of bunker gear was and does but more importantly, the kids could still tell it was their friend behind that mask. 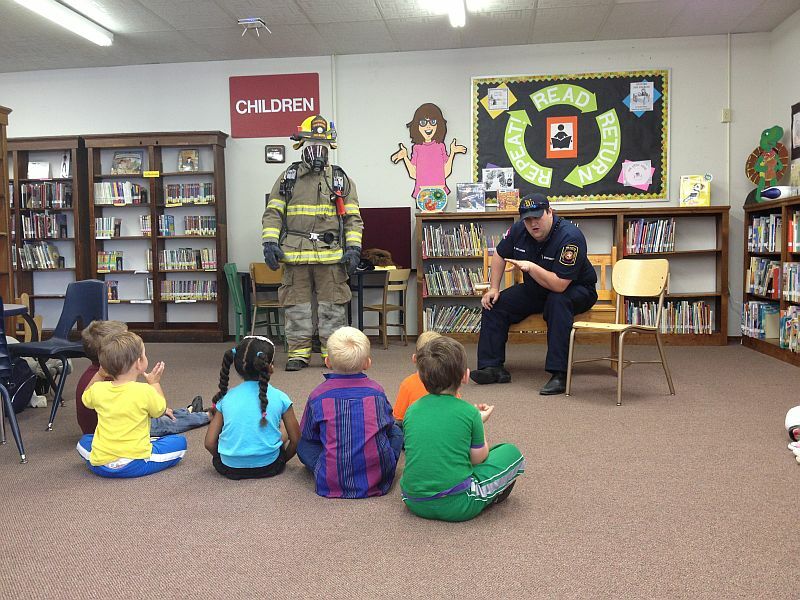 The children needed to know not to hide from a fireman that looks and sounds like this because he is there to help. 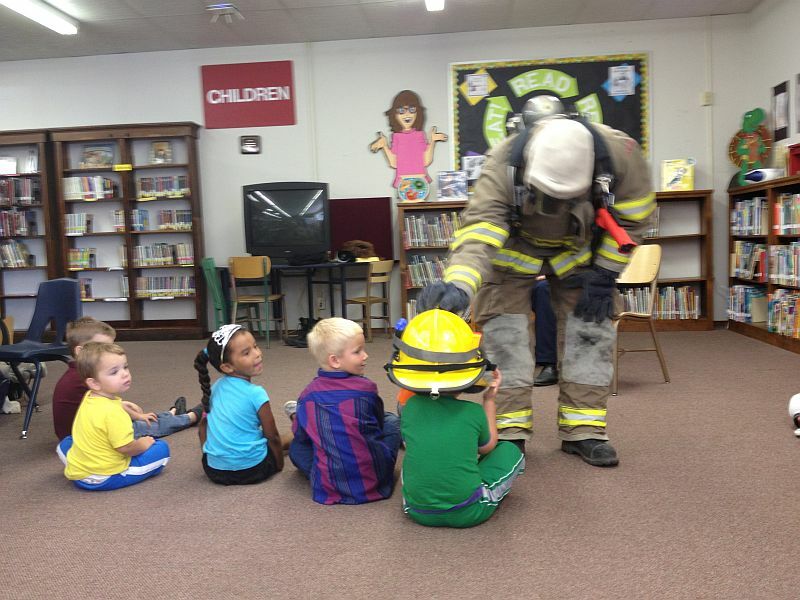 When Engineer Williams called to the kids “Fire Department! Is anyone in here?”, the kids were taught to respond “I’m in here!”so they could easily be found. Finally, it was time to check out the truck. 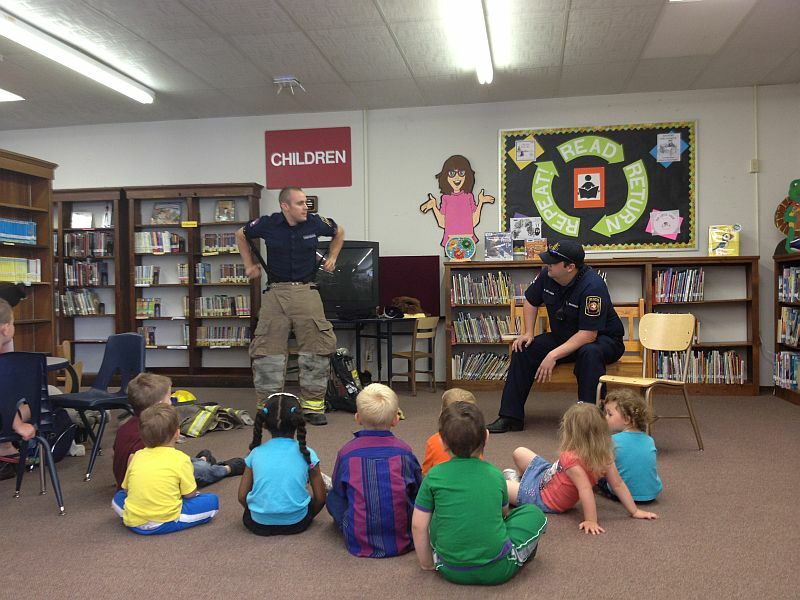 The kids were ushered into the parking lot where the came face to face with VAFD Engine 1. Everyone was excited to take their turn sitting up front in the cab. 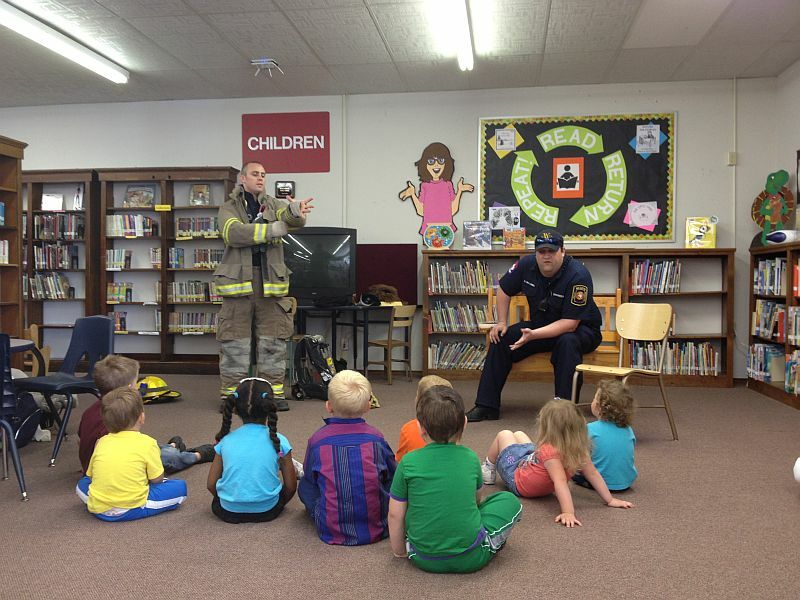 The firemen even opened the side panels for an impromptu show and tell. 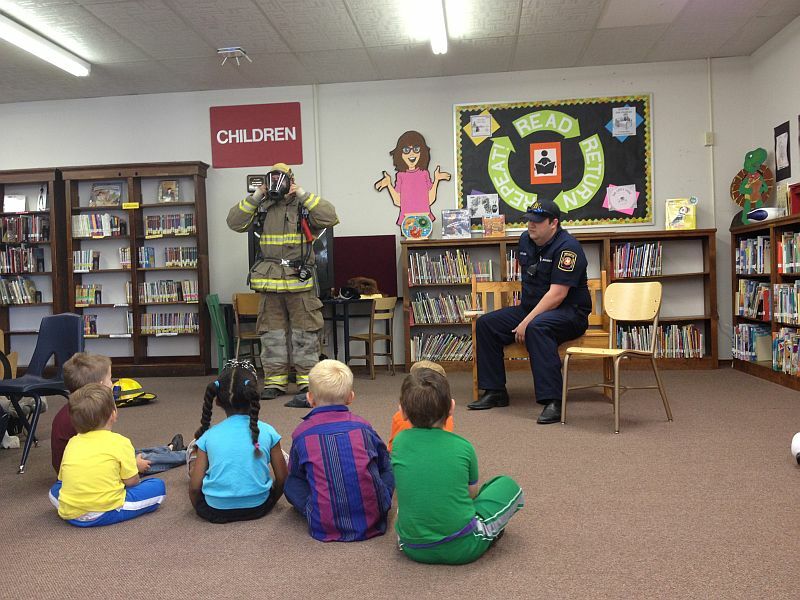 The children were captivated. The axes, the saws, the air tanks… the food. Who knew there was so much cool stuff on a fire engine? These are the air tanks. 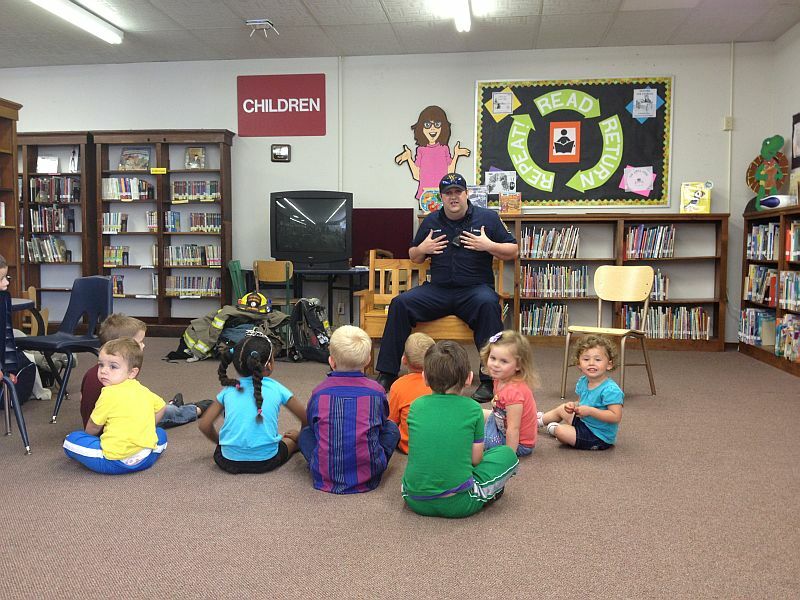 At the end of visit, Logan told them all he too wanted to be a firefighter when he grew up. They were his friends! Special thanks to the Van Alstyne Fire Department and Engineer N. Williams, Firefighter S. Dacus, Firefighter R. Morgan, Firefighter J.O’Conell, and Firefighter J.Parish for putting together such a wonderful program!